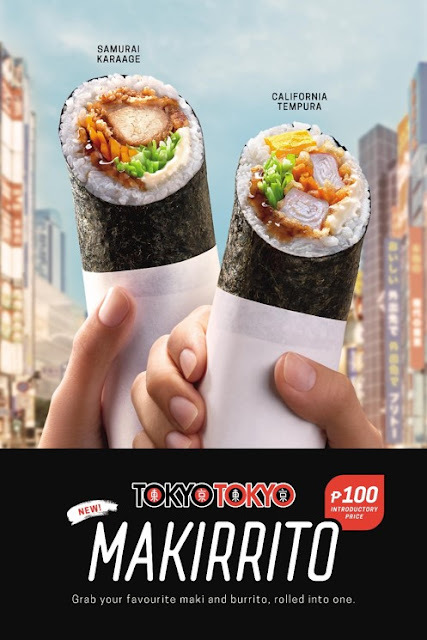 The Country’s number one Japanese Fast Food Chain has done it again, coming up with new dishes that caters to your needs! If you’re a fan of Tokyo Tokyo, I’m sure you’ve tried some of their classics, such as their Beef Misono, Shrimp Tempura, and Chicken Teriyaki. Recently, they have even expanded their menu to include Ramen and Donburi bowls. Admittedly, these are meals that are best enjoyed in a sit down environment, so you can fully appreciate the elements of the Bento Meals or whatever it was that you ordered. But what happens during situations when you’re on the go, and don’t have the luxury of time on your hands to stop and eat? With the way the rat race works nowadays, that’s not exactly out of the realm of possibility from happening. What if you need something as handy as - say, a Burrito, but as filling as a rice meal? Tokyo Tokyo has got you covered, with the newest addition to their menu.. The Makirrito! Tokyo Tokyo has taken two iconic dishes of two popular cuisines, and fused them harmoniously into an original concept that can be enjoyed even when on the move! The concept of a Japanese “Maki”, meaning choice Japanese ingredients wrapped in sushi rice then rolled into Nori, is amped up and given the Mexican Burrito treatment. The result? A chunky, meat and filled seaweed wrap, that is not only big on flavor, but is incredibly satisfying as well, and can easily be enjoyed in transit! The Makirrito comes in two variants, and the first one I tried was the California Tempura Makirrito. Plump Crabsticks are dipped in a Tokyo Tokyo’s Signature Tempura Batter, and deep fried to a gorgeous crisp. The Sticks are sliced, then rolled into sushi rice with chopped carrots, Shredded Cabbage, and mango slices, that give the roll an added freshness. The ingredients are doused in a Japanese sauce that plays off the creaminess of the Japanese mayonnaise, then tightly wrapped in Nori. I’m a sucker for Tokyo Tokyo’s Chicken Karaage, so I don’t think anyone would be surprised if I said that I was drawn more to the Samurai Karaage Makirrito. I hope my form made Himura Kenshin proud! The Samurai Makirrito is made with Crunchy pieces of juicy Chicken Karaage, rolled into the Seaweed Wrap, together with the medley of vegetables, and drizzled with the Japanese Sauce and Mayonnaise. The added savoriness of the chicken made this more filling and enjoyable for me, although Rina liked the California more. 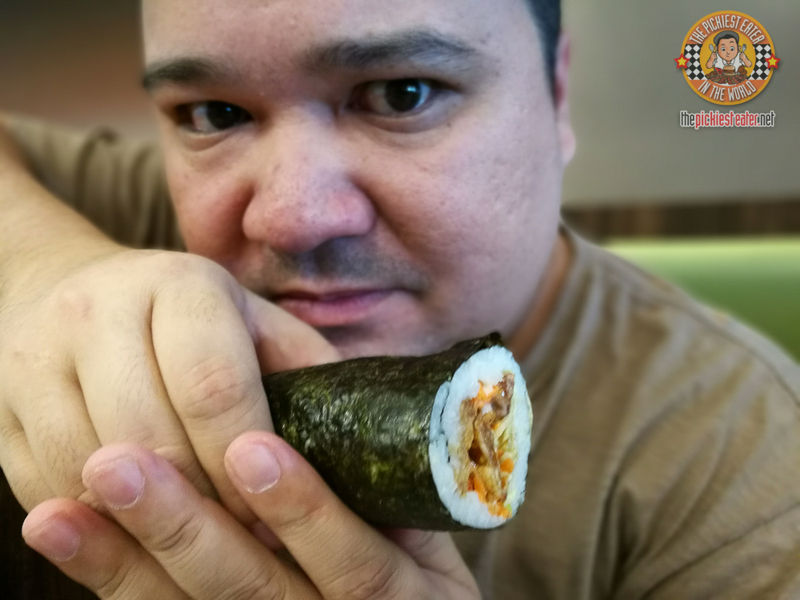 It’s easy to eat, and if you like Nori, you’ll find it incredibly tasty and filling.. And at P100, The Makirrito is unbelievably affordable! Tokyo Tokyo once again proves that their customer needs always comes first! BROOKLYN'S NEW YORK PIZZA: A NEW NAME IN PIZZA!